Just like Coolio, Frazier, and Boyz II Men, Microsoft’s Internet Explorer is something that was hot in 1995 that isn’t so hot in 2015. 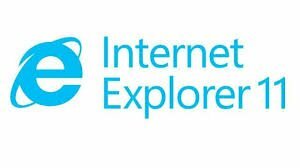 Despite Microsoft’s best efforts to revive this early staple of the internet, they were unable to return Internet Explorer to its former glory. Microsoft appears to have given up on the Internet Explorer brand and retire the browser when Windows 10 is released later this year. Though it may not matter much to individual consumers, retiring Internet Explorer could present challenges to certain businesses. The decline of Internet Explorer happened over a long time. 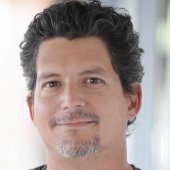 Over the past two decades, Internet Explorer went from being used by 90 percent of computers to having all Internet Explorer versions account for under 20 percent of the browser market. Rather than trying to fight against the popularity of Google Chrome with the old Internet Explorer name, Microsoft intends to launch a new browser brand with a new name when they release Windows 10 during the summer of 2015. From a marketing point of view, retiring the Internet Explorer brand makes a lot of sense. As was stated at the outset, Internet Explorer is 20 years old. Technology is about what is new and cutting edge. A new browser, with a new name and new features will market better than a 20-year old browser with new features. Similarly, one of the reasons that Internet Explorer lost users was that the program was the subject of a lot of security vulnerabilities. These breaches did a lot of damage to the brand name, and rather than try to rebuild confidence, it’s probably better for Microsoft to start anew. For most consumers, the retirement of the Internet Explorer is either overdue or a sad reminder that the things they grew up with are obsolete. However, for some businesses, the end of Internet Explorer means they must change their products and websites. Though Google Chrome was the browser standard for everyday consumers, businesses made up a lot of computers that still used Internet Explorer. Some programs are created to run within the browser and can’t be run on browsers like Chrome or Safari. Though Microsoft will continue to support and update Internet Explorer for a while, support will eventually stop and even before that point, businesses can’t sell software or programs that are based on a defunct brand. Some websites may have to be updated as well. Most businesses have websites that can be accessed by any browser; in order for that to work for certain features, the website’s code must be written for different browser types (e.g. Chromer, Mozilla, Safari, etc.). So once Microsoft’s new browser is released, sites may require some tweaks to the CSS so they display properly. Though Microsoft is billing Project Spartan as a brand new browser, it’s likely they will work hard to make the browser backwards compatible with any site or program that was functional in Internet Explorer. It would be bad if companies got their new Windows 10 PC only to find that none of the sites or web-based programs they use won’t work on the included browser. The end of Internet Explorer is something that marketers and business owners should pay attention to. How the new browser works and how well it’s accepted by consumers can affect the way the company does business. There’s even a chance that Microsoft has a few tricks up their sleeve to make the browser more useful for marketers. For more news about changes in the internet browsing market, read this article on the effects of making Yahoo the default search on the Firefox browser.